The kit comes with a plastic grid onto which all the components - including the "wires" - clip securely with metal snaps. The components include a battery block, LED, bulb, resistor, photoresistor, two switches, motor, speaker, and 3 integrated circuit blocks that can generate different kinds of sounds and music. There is an instruction manual that includes 101 experiments. 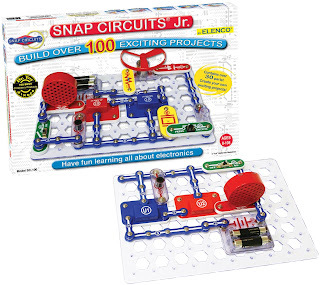 Each include a clear labeled diagram showing how to make up the circuit. Alongside the diagram is a brief objective, and then a more detailed set of instructions on how to build and use the circuit. 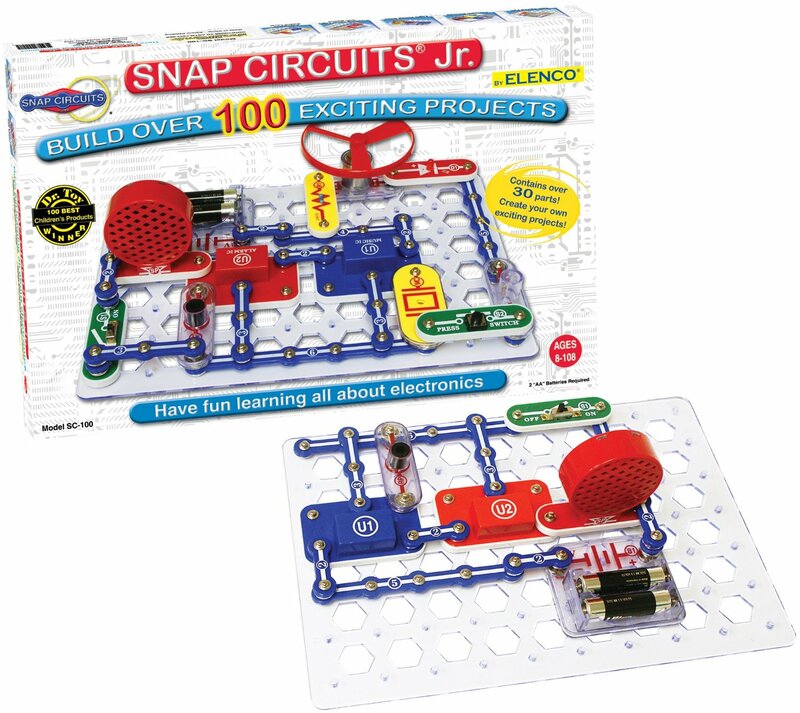 It starts with a basic bulb and switch circuit, and gradually builds up to more sophisticated games and alarm circuits. After helping my daughter with the first few while she got familiar with the components and the diagrams, she is now easily able to work through the others. She's also begun tweaking circuits - adding resistors to change the speaker volume and swapping out switches with photoresistors - just to see what happens. She has reached experiment 39, getting through an average of about 5 circuits in an hour. So at about $22 for the kit it's providing a lot of value. And better yet, there are expansion kits that add more components and experiments.